Well after a very successful chicken quarter smoke I am now going to try smoking NC Rainbow trout. I have looked all over the ring and got a lot of tips. The trout is in a brine now. It will be ready when I get the smoker to temp ( that was a suggestion I made on Meatheads Cook Log is to allow enough time to get to the proper smoker temp). I am going to use an olive oil, black pepper, garlic powder and a few shakes of hot sauce for the rub. I plan to get the smoker to aim at 180*. I am soaking cedar planks to set the trout skin side down. Guessing on thickness, about 1.5 to 2 hours. Oh yeah, didn't have and fruit wood so I'm using oak splits with charcoal base. 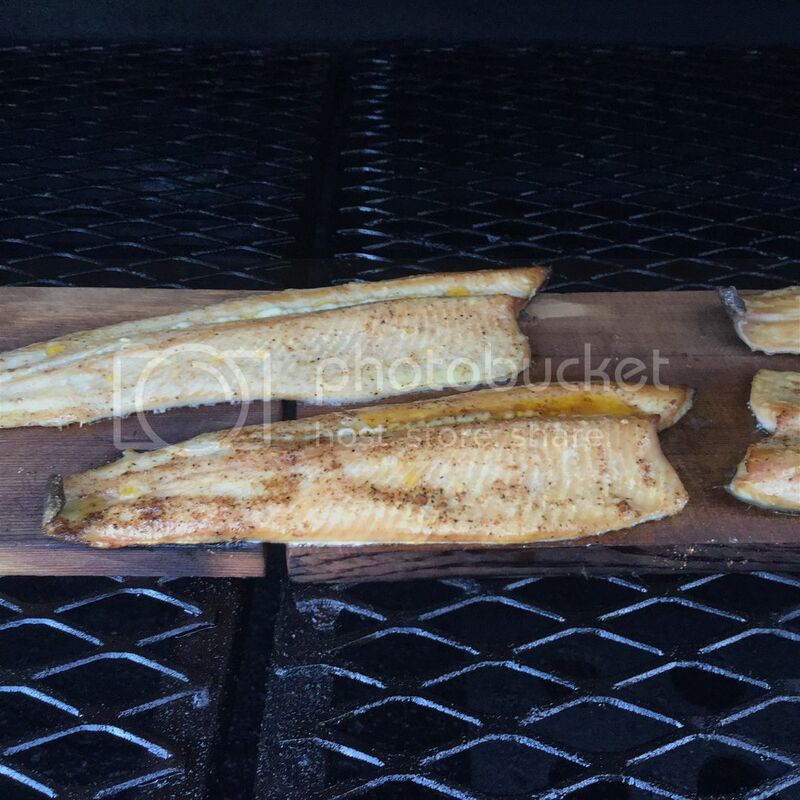 I really enjoy smoked fish, trout, salmon even mackerel, all take some smoke in a good way. With the Trout I either cold smoke them, 80 - 100°F or I hot smoke them at 225°F, at the lo temperature I smoke them 2 - 3 hours, hot smoking at 225° it's only around an hour, a little less on smaller fish a little more on bigger fatter fish. They look nice... now what are you going to do with then? Looks Fantastic Leon!.....Love me some smoked Trout! Thanks Cat797!! It turned out much better than I expected. I figured I would turn them into charcoal but I must say I am a smoked trout fan now. You can make a killer spread out of the trimmings with some softened cream cheese, sour cream and herbs. Smoked trout dip is one of my favorites. That sounds great. Thanks BigOrson. 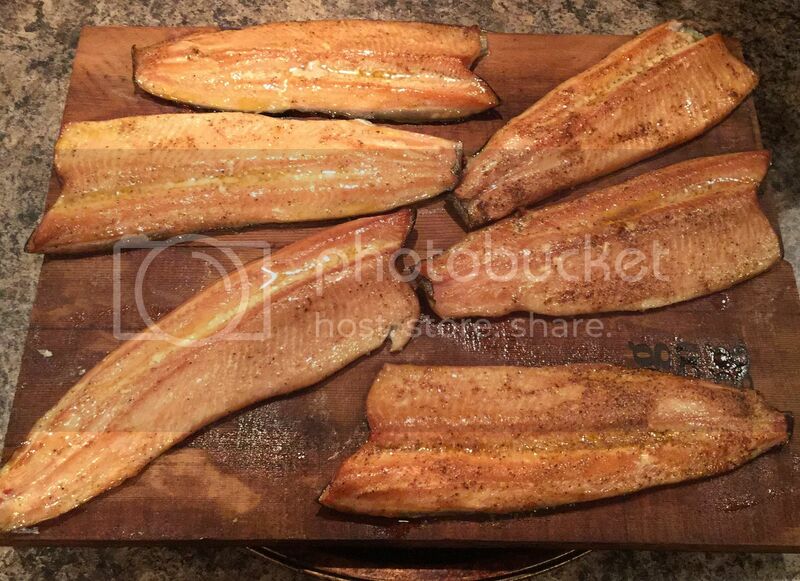 I must admit I wasn't a big fan on smoked fish until I did these trout. I am going to try tuna soon.